Not only do we have a brand new character joining the Marvel cinematic universe in Thor: Ragnarok, but it turns out another major character is leaving it. Marvel has cast Tessa Thompson (Creed) in Thor: Ragnarok. Deadline quotes anonymous sources—so take that with whatever gravity you assign it—as saying that Thompson’s role is “a kind of superhero” who will show up in several Marvel movies. More interestingly is that Deadline describes her role as a love interest for Thor. The Hollywood Reporter is less certain about the details of Thompson’s character, saying there weren’t any, but it did say that Thompson could be the female lead, since Natalie Portman isn’t returning. It’s not exactly a shock that Portman’s exiting, since rumor had it that she wasn’t happy about returning for The Dark World. 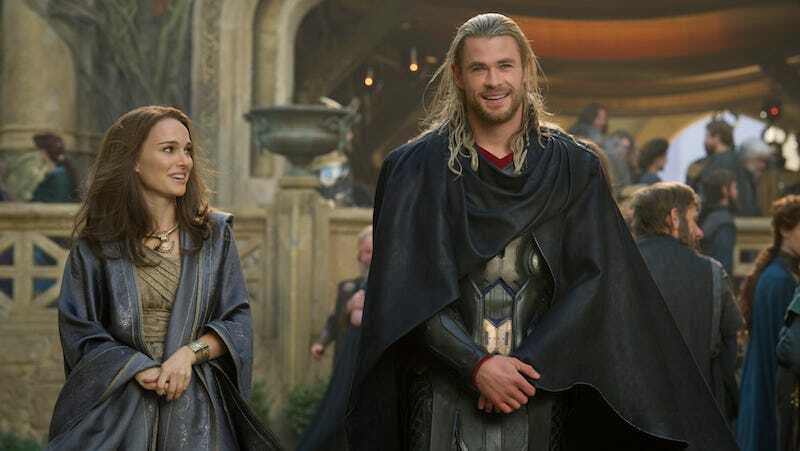 But if Thompson is playing a new love interest and Portman’s not appearing, that means that Thor and Jane are going to be breaking up offscreen. Can’t wait for Thor to have to casually drop that in conversation. If Thompson’s character comes from the comics, we can narrow it down pretty easily. It’s not Sif or Lorelei, since we’ve met them already. Plus, “superhero” leaves out Lorelei, who is a villain. It also leaves out Amora the Enchantress, who is also a villain. So maybe the part is as Brunnhilde the Vakyrie? Or, you know, they could be expanding past the usual comic book suspects. We’re going to have to wait to find out.